As the sun slowly set on the British Empire, Britain and her Commonwealth allies armed themselves with one of the most powerful and effective bolt-action rifles ever developed: the Lee-Enfield. 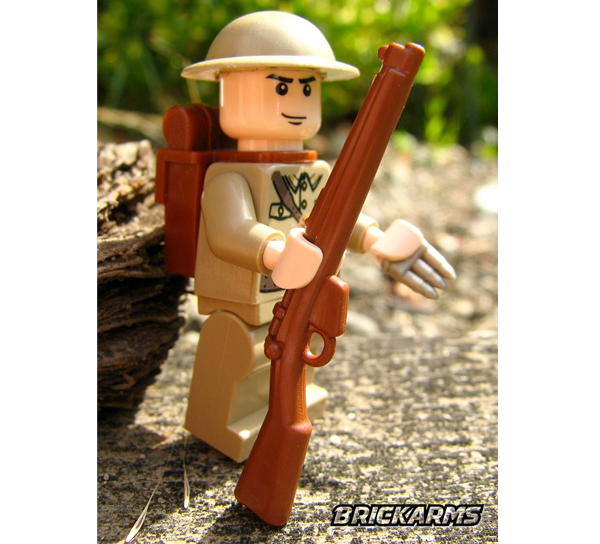 Durable, accurate, and versatile, the Lee-Enfield saw official use for over sixty years, serving with distinction in the Boer War, WWI, WWII, and beyond. 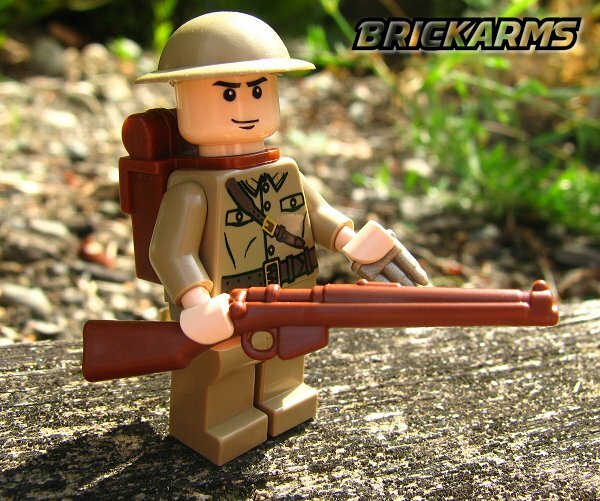 BrickArms is proud to present the BrickArms Lee-Enfield Rifle, an accessory based on the iconic SMLE MkIII version of this classic weapon. 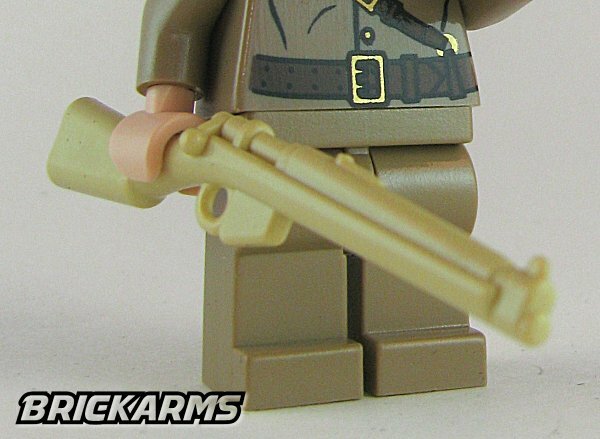 When your minifigs are going over the top of their trenches, demand nothing less than the BrickArms Lee-Enfield!